We answer "y" to the EIDE controller question and again answer "y" if the drive geometry the system informs us is correct. Here I executed fdisk (select e option), deleted the DOS partition and created a new QNX partition using all the space available in the hard disk. Last edited by Luengo; 07/17/13 05:56 PM. Last edited by Luengo; 07/17/13 06:26 PM. 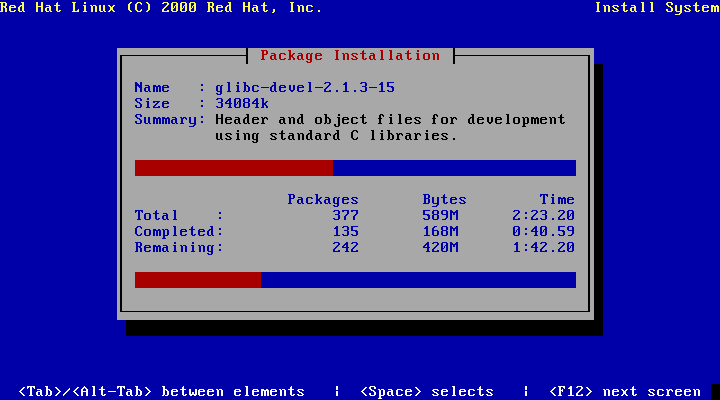 To install Intel Xenix 286 on the ISBC 286/12. 1. Obtain the install floppies. The ones I have are numbered by Intel product IDs. 3. Create a chd image with "-chs 512,8,9 -ss 1024"
4. Start MESS with the isbc2861 driver and the boot floppy in flop1. 5. At the * prompt press shift-u and enter . when asked. If the floppy is correct it should say READY. 6. After the "Interrupt 3" and the . prompt type "b :wf0:xenix.f". 7. Booting will take a minute or 2. Type "/etc/mksys" at the bootsys> prompt. 8. Insert disk 2 when prompted. 9. Select disk type c - Q540 and press enter at cyl-sur: prompt. It will now low-level format and copy the files to the disk which may take 5+ mins. 10. Remove the floppies and reset when it says shutdown. 11. Don't press anything this time and just press "b" at the . prompt. - SVN #30981 or later. The steps work for bare 0.153 and probably 0.152 even, but some options changed names. Exit MESS and download the 5 cartridge tape images from Bitsavers at this link. On Linux/MacOS X you can use command line "gunzip" to remove the .gz compression. On Windows, 7zip should be able to handle it. 1) Run the dn3500 driver again, this time with -ctape 019593-001.CRTG_STD_SFW_BOOT_1-REV.A.ct (or mount that file as ctape in QMC2) and -disk1 apollo.awd (make sure no file by that name exists; it will be created/overwritten). NOTE: cartridge tape is super ultra slow. Each load from it will take in excess of a minute at 100% emulation speed and may take several minutes. This does not mean the emulation has died. I recommand unthrottling the system during these loads. 5) It will ask if you want to reconfigure this node: press Y and Enter. 6) It will ask if the memory configuration changed. Press Y and Enter, then for each of the 4 memory boards enter 4 and press Enter for a total of 16 MB. 7) For the node ID, the usual default is 12345 although you don't *have* to do that. Note that the node ID is locked to the HDD after the OS install though. 8) For the display type, type DISP8C. 9) For the next set of questions: Y for MC68881/MC68882, N for floating point accelerator, Y for floppy disk, Y for Winchester. Winchester controller type is 0, and both disks are type C.
10) Answer Y for cartridge tape, N for SCSI cartridge tape, N for magnetic tape, N for 8mm tape, N for Serial/Parallel board, and N for PC Compatibility board. 11) Network type is 4, and N for unknown devices. 12) Answer N for "Anything more to do?" 1) When the prompt comes back, type RE to reset the system and press Enter 3 or 4 times. 2) Type di c and press Enter. 3) Type ex calendar and press Enter, then wait through another tape load. 4) When it asks to select a disk, press N and Enter. 5) For the time zone, you can pick any of the US time zones or GMT or UTC, it doesn't matter for our purposes really. 6) The system will show today's time and date but in the early 1990s. This is fine, answer N when asked if you'd like to reset it. 3) Type ex invol and press Enter, then wait through yet another tape load. 4) Choose option 7 to create a "bad spot" (bad sector) list. There are none because we emulate a perfect drive, but this is necessary anyway. Pick Y for automated bad spot entry, and Y for "Anything more to do?" 5) Choose option 1 to partition and format the drive. Choose w for "Select disk" and enter APOLLO (or something else if you want) for the volume name. Choose verification option 1 (no verify) and press Enter to accept the default average file size. 6) For the size of volume 1, enter all and press Enter to use the entire disk. Choose Y to use pre-recorded badspot info, and Y for "Anything more to do?" 7) Choose option 8 to create a swap file. Enter w for the disk select and 1 for logical volume number. Press Enter to accept the default 640 kB size of the file, and finally choose N for "anything more to do?" Last edited by R. Belmont; 06/15/14 04:36 PM. 3) Type ex domain_os and press Enter, then wait through the longest load yet. Eventually the kernel will come up. 4) If it says "the calendar is more than a minute slow", just choose Y to proceed, it's harmless. 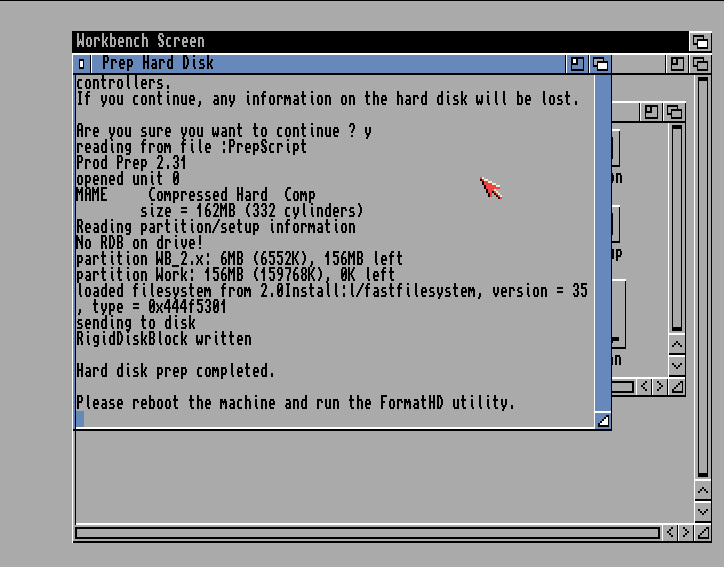 5) It will ask if you wish to replace the system software on your disk. 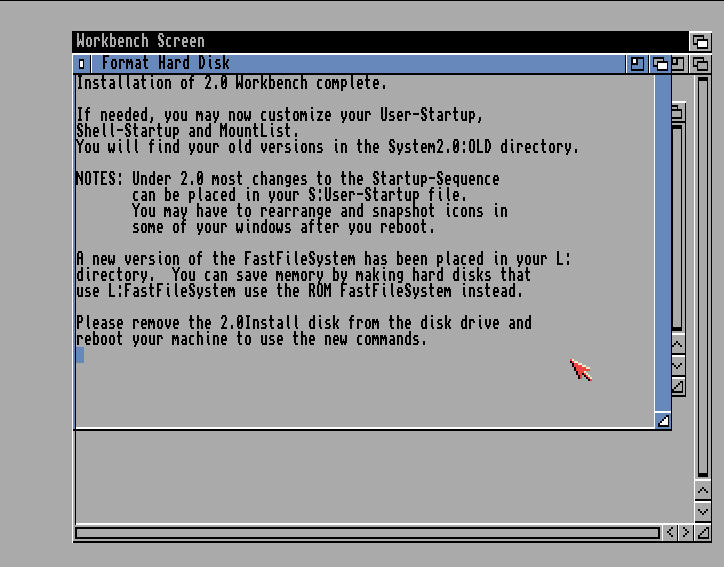 Choose Y to continue, and the system will copy the installer files to the HDD. 6) You'll see the message "Apollo Phase II Environment Revision 10.4 RBAK version Jan 25, 1992 12:58:22 pm" and a ) prompt. Type go and press Enter to start up the installer, or shut to cleanly shut down the system and continue later. 7) An HP logo will appear and the windowing system will come up. Login as user and just press Enter for the password. NOTE: the windowing system has very odd keyboard and mouse focus behavior; it's best to avoid moving the mouse during the install procedure lest you lose keyboard focus. In general if you do lose it, move the mouse to right after the MINST> prompt and click once. 8) It will ask if you wish to continue with MINST, type continue and press Enter. 9) It will ask if you want novice or expert mode, type novice and press Enter. 10) It will ask for the pathname of the Authorized Area, press Enter to accept the default. 11) Also press Enter to accept the default for the target pathname. 12) When asked if you wish to install Domain/OS type yes and press Enter. 13) When prompted for media type, type ct and press Enter. 14) It will give instructions for reading the release notes, just press Enter at the MINST> prompt to skip that. 15) When asked what package configuration to install, type 11 and press Enter to get a full install of both the traditional Domain/OS stuff and the BSD userland they'd been merging into it (not always comfortably). 16) It will ask "Are you sure?". Type yes and press Enter. 17) Use MESS's File Manager in the Tab menu to insert tapes 1, 2, 3, and 4 and press Enter as prompted. (The boot tape is not one of those 4). 18) It will then ask if you want to read the online manuals; press Enter to skip. 19) When asked if you want to select or quit MINST, type select and press Enter. This will run for several minutes creating the main filesystem via hard links to the various files the previous steps dumped onto the HDD. 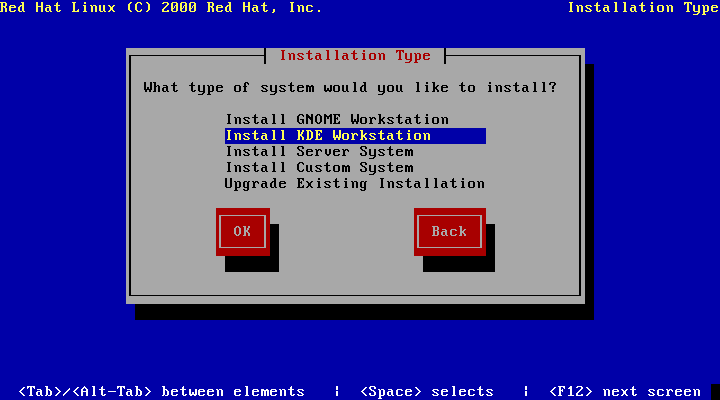 20) When it says the install is finished, click where it says "Command" and type shut and press Enter. The system will shut down cleanly and exit back to the boot PROM prompt. 21) Quit MESS and restart without mounting a ctape, just -disk1. 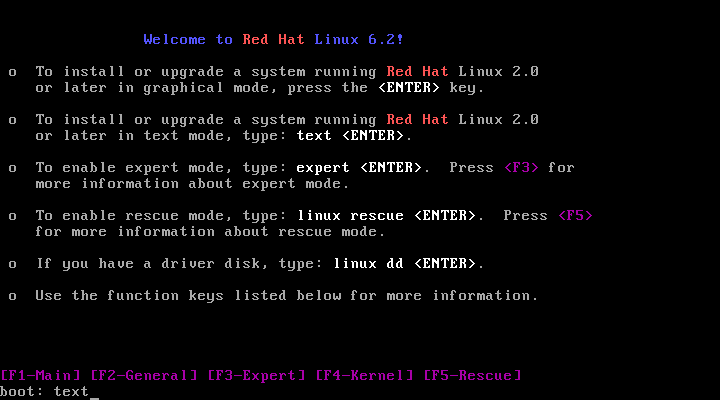 Press Enter a few times and type ex domain_os to launch Domain/OS, or change the System Configuration Service/Normal switch to Normal to autoboot. Bitsavers has manuals, and there are some tips on the MESS wiki. The default login is user with no password. See "How to create the registry in Domain/OS" on the MESS wiki page to enable the root account and have some real fun. WARNING: If you ever shut down the system without using 'shut' and waiting for it to end, the hard disk will be corrupted and need fixing. You do this by mounting the boot ctape again and doing di c and ex salvol to run "Salvage Volume", which can usually fix the errors. Last edited by R. Belmont; 06/15/14 04:42 PM. Note: Floppy image filenames are the same images as used by the softlist. You can press 'Enter' at the keymap setup question, or setup an alternative keymap (if you do, you need to swap in the Extras disk, then replace with the Install disk again). You have two partitions, "System2.0" with your base system and "Work" for applications and other data. Driver: any PC-compatible driver with an 80386(not SX) or better CPU. at386, at486, ct486, at586 and clones should all work. A lot of spare time. This will take around a few hours, depending on your system speed. Create a blank HD of the size you'd like (1GB is enough). Increase the cylinder count (first CHS value) to increase the overall disk size. -c none denotes no compression to be used. This allows direct writing to the CHD. You'll need to start MAME with the appropriate commandline options to load the disk images needed. 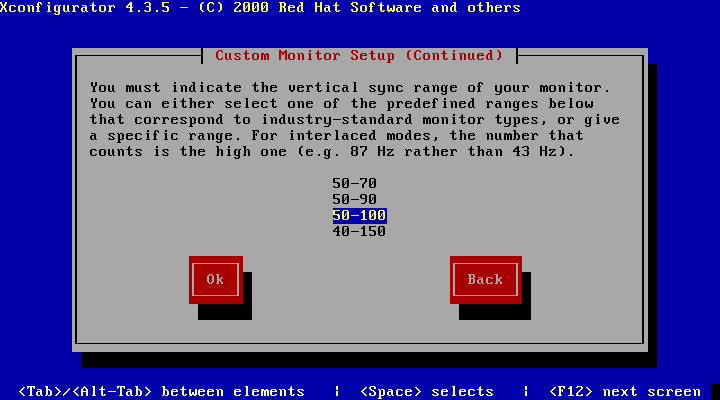 You'll want to use at least -cdrom /path/to/Linux_Red_Hat_6.2_CD-ROM_Walnut_Creek_April_2000.iso. at386,at486 and ct486 don't attach a CD drive by default, but you can attach one by adding -board3:ide:ide:1 cdrom to the commandline *BEFORE* the image switch. These drivers also require you to boot from Smart Boot Manager, which is a floppy-based application that will boot a CD-ROM on systems with BIOSes that otherwise cannot, so add -flop1 /path/to/SmartBootManager.zip. You need more RAM than default, so also add -ramsize 64m. Some drivers (ficpio2, at586) can support more RAM than this. Also consider adding any additional hardware you want to use. The default video adapter is the Tseng ET4000, but these examples use the S3 Trio64 (svga_s3). If you're using Smart Boot Manager, then select CD-ROM from the boot menu, otherwise, go to the driver's BIOS menu and enable booting from CD-ROM. You'll then be greeted with the installation boot menu. Enter text and press Enter to continue. This will force text-based installation (graphical doesn't work for some reason). 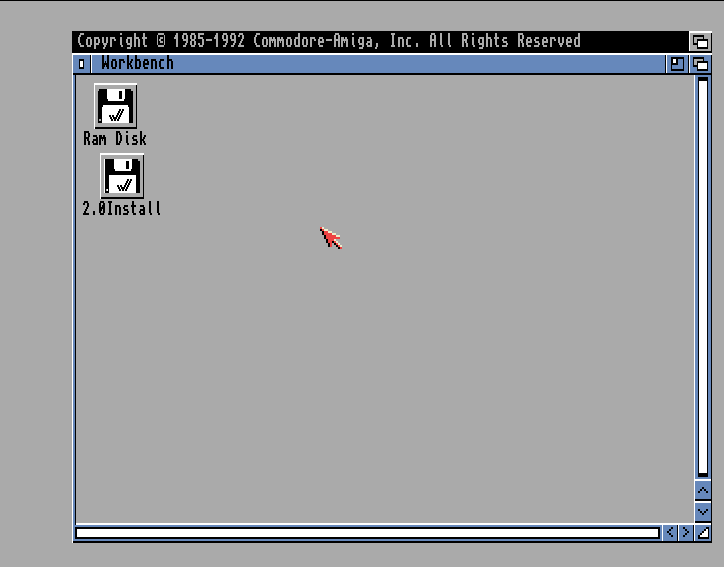 Controls are keyboard only in the text installer, but they are common enough to use easily. TAB will switch to the next dialog item or button, Space or Enter selects/"clicks" button, and Space will toggle option items. First, it will ask for a driver disk. This is for network or SCSI hardware drivers, but since we're using neither, just select Cancel. Then it asks for drivers, since we don't need any, select Done. Now you'll have the first rather long wait. I recommend you disable throttling, as there are plenty of idle periods which will run fast on most half-decent systems. Just be careful of the Scroll Lock key when toggling UI controls, this key can suspend console output, suspending any running application. Select the language you wish to use. 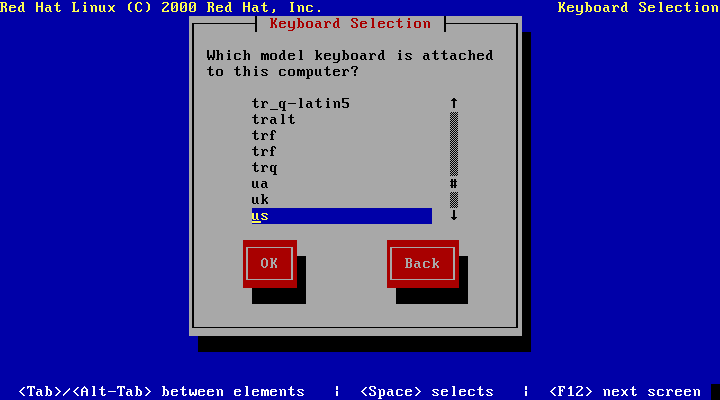 Next, select the keyboard layout. US will do the job. Next, select what sort of installation you want. 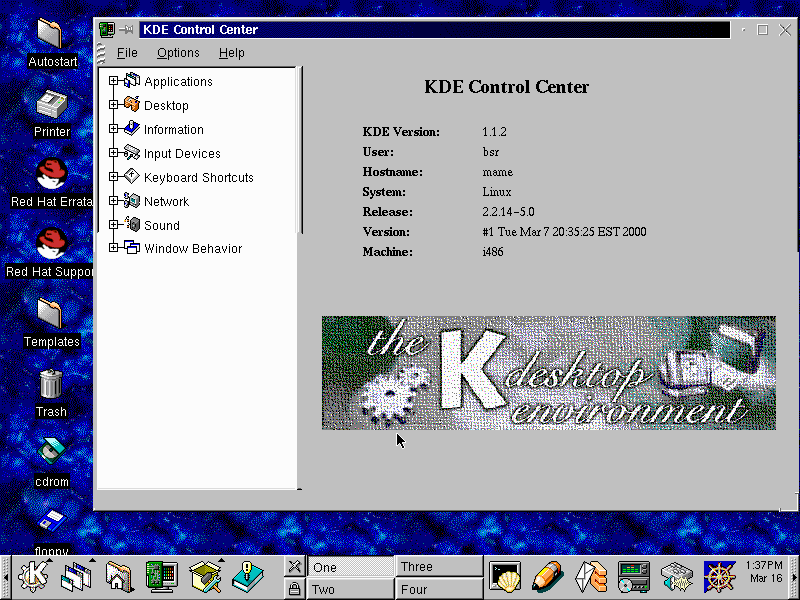 Gnome and KDE are different graphical environments. Server is likely to lack any graphical environment (haven't personally tried it). Choose whichever option suits you. The next screen will let you partition the HD image. There can be issues with creating partitions over 500MB, but a way around that limitation is to have a small boot partition. 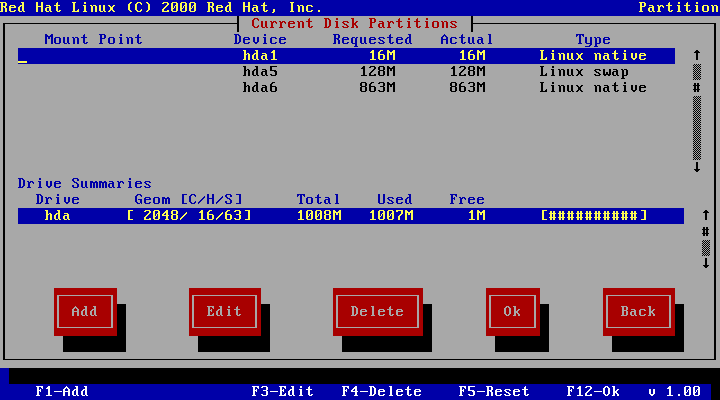 So, first add a new partition, set the mount point to /boot, the size to 16MB, and type to Linux native. You can add a swap partition if you wish, it can help performance. Add a new partition, leave the mount point blank, set size to 128MB (or whatever you want, double your RAM is usually good), and set type to Linux swap. And now, add the main partition, where everything is going to be stored. Add a new partition, set mount point to /, leave size alone, set type to Linux native, and toggle the expand to fill disk option so that it is enabled. 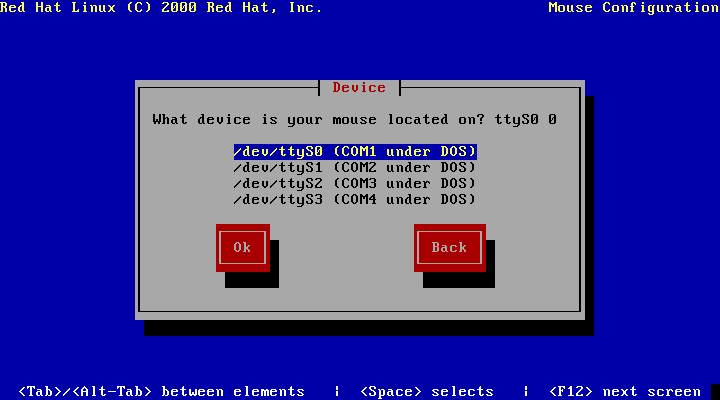 Next dialog asks for mouse type. The default mouse used in all PC drivers in MAME is a serial mouse. 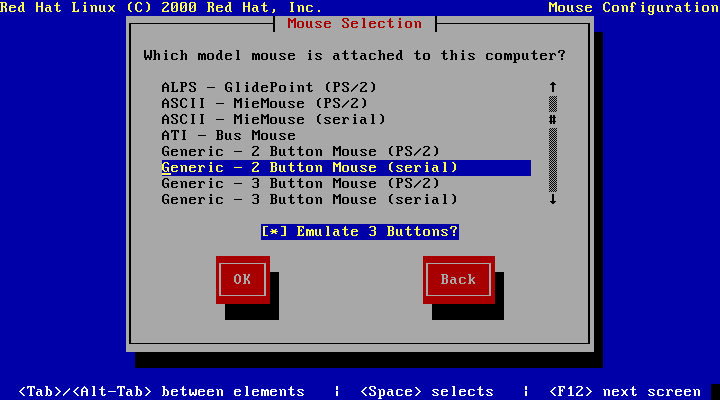 Generic 2 button serial mouse should be selected by default, so just select OK to continue. The next screen ask for the serial port the mouse is attached to. Again, the default of /dev/ttyS0 is fine. Select OK to continue. First, it will ask for the root user password. 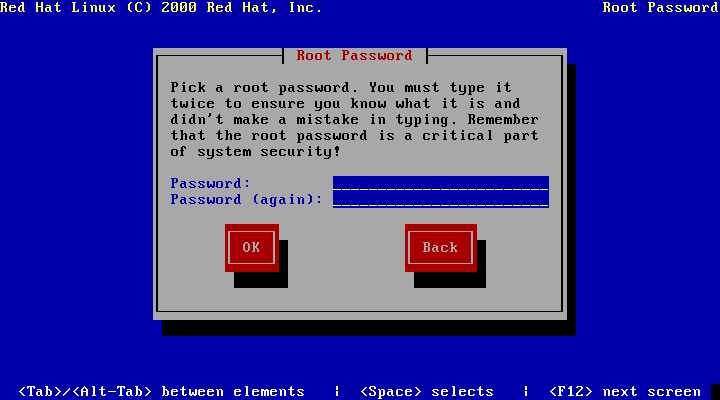 Enter your root password in both entry boxes. Nothing is displayed as you type, this is normal. If both password entries match, you can continue. Passwords must be 6 characters long or greater. Now, you can enter a regular user ID and password. You may skip this if you wish, it can be done later. Next dialog asks for the video adapter you're using. Select whichever is appropriate for what adapter you are emulating. Some 2D accelerator cards (Mach8/32, Trio32/64) will work with the appropriate X-server, although may be a bit glitchy. Now the system will start to install packages from the CD onto the HD. This may take a couple of hours, so disabling throttling may again be a good idea. Once complete, you have a bootable system, so if something goes wrong with the steps after package installation, you can boot from the HD, and complete them from there. Last edited by mahlemiut; 03/16/16 12:09 PM. 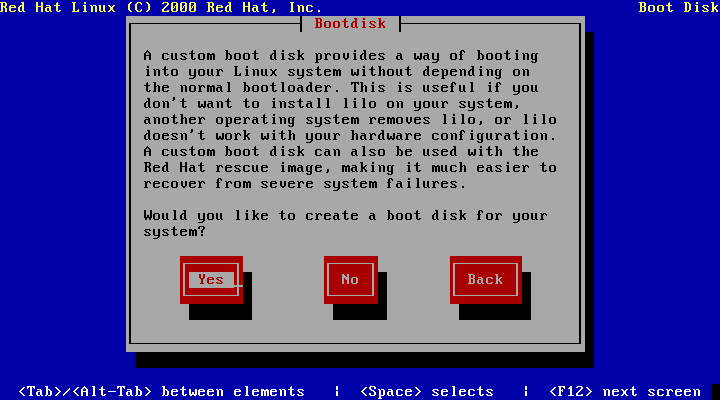 Now you will be asked if you want to create a boot disk. This is optional, but useful if you screw something up, and you can't boot into your system from the HD. The final setup step (finally). You will be asked for the monitor you are using. Select custom. 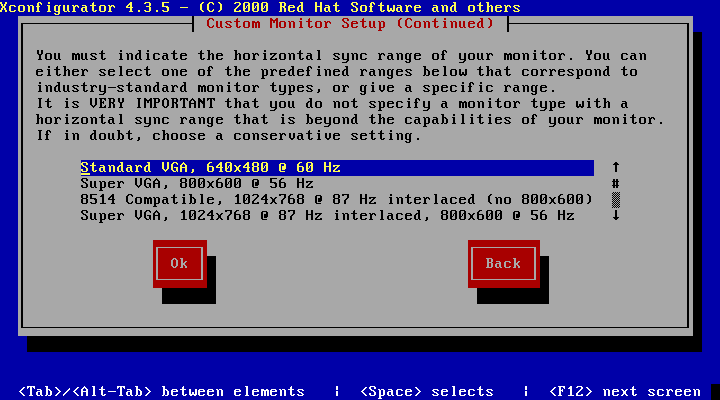 Next, select a resolution the emulated monitor is capable of. 1600x1200@70Hz works, so select that. Now the system should start to shut down. It's possible that MAME may lock up when it reboots, so once the HD is unmounted, close MAME. Restart MAME with the -cdrom and -flop1 parameters removed (no longer needed). 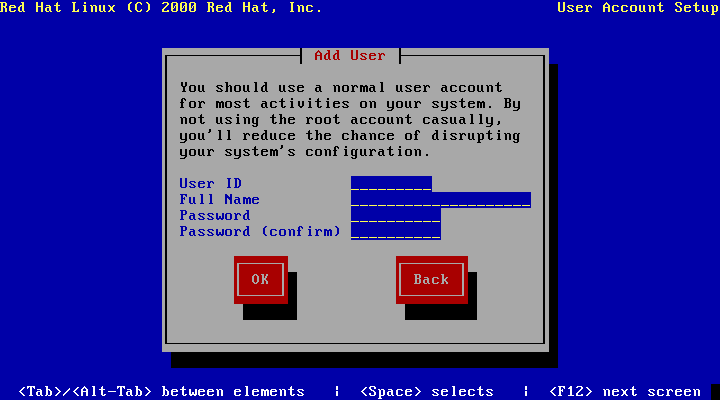 Red Hat should now boot from the HD, and eventually, you'll get a login screen. If you didn't create a regular user, login as root, entering the root password you gave during installion. To create a user, use the command adduser <username>. To set the user's password, use the command passwd [username], then enter the password twice. You can change the video adapter type again by running Xconfigurator (as root). 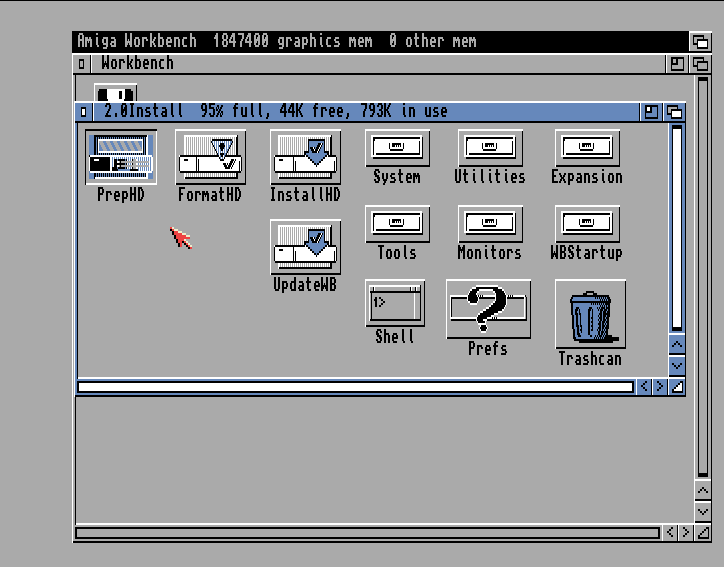 If you chose to boot into a graphical environment, then you'll get a graphical login. If not, you can start X-Windows by typing startx.